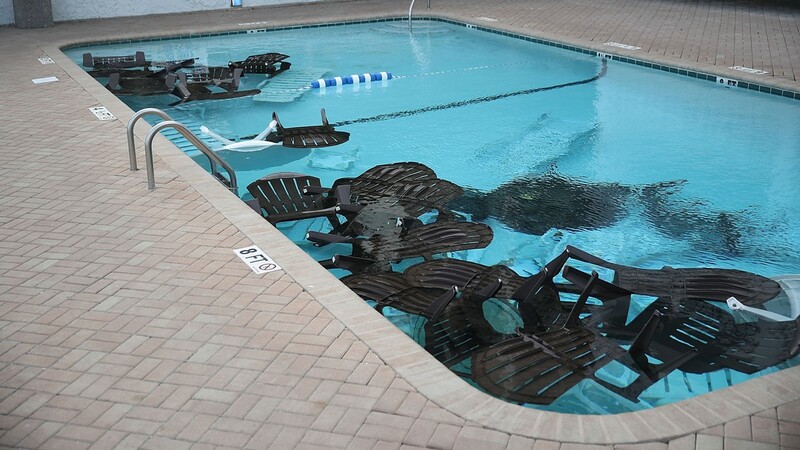 Georgia Governor Nathan Deal has issued an emergency declaration for all 159 counties in Georgia ahead of Hurricane Florence. 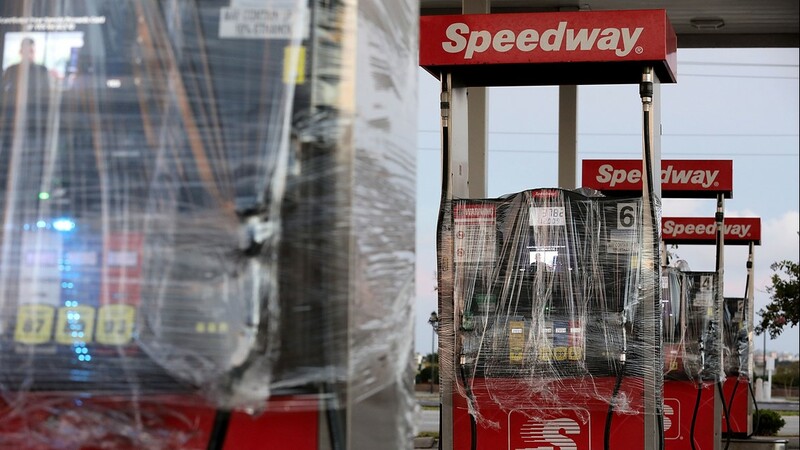 Based on the 11 a.m. forecast for Hurricane Florence on Sept, 12 and acting on a recommendation from Georgia Emergency Management and Homeland Security Agency (GEMA/HS) officials, Georgia Governor Nathan Deal issued an emergency declaration for all 159 counties in Georgia. 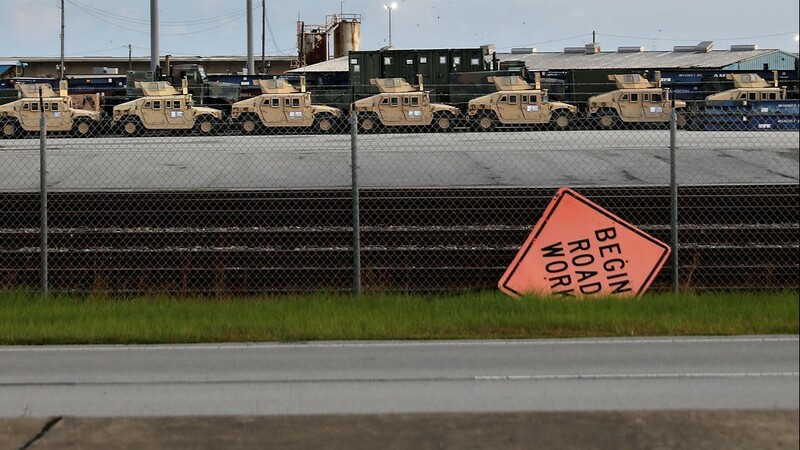 Georgia Emergency Management Agency (GEMA) is currently in a Level 2 enhanced monitoring operation, officials told 11Alive. The state operations center will adopt a Level 1 full-scale activation at 7 a.m. Thursday morning. 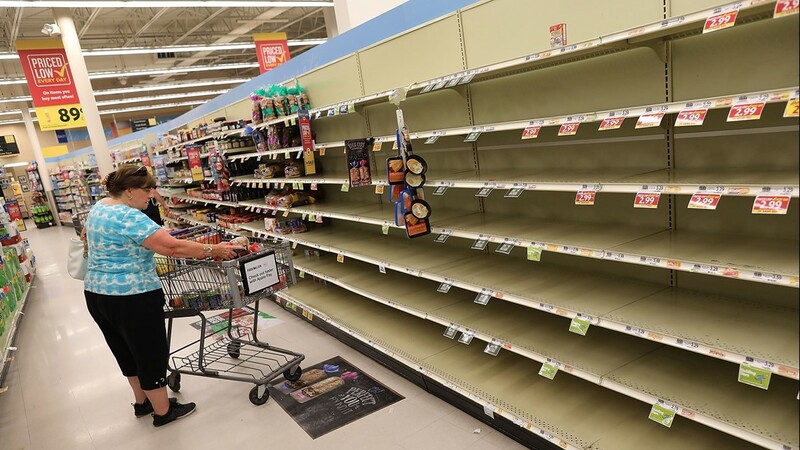 "All residents are urged to prepare a ready kit with necessary supplies and closely follow information from local officials and news sources," said Catherine Howden from GEMA. 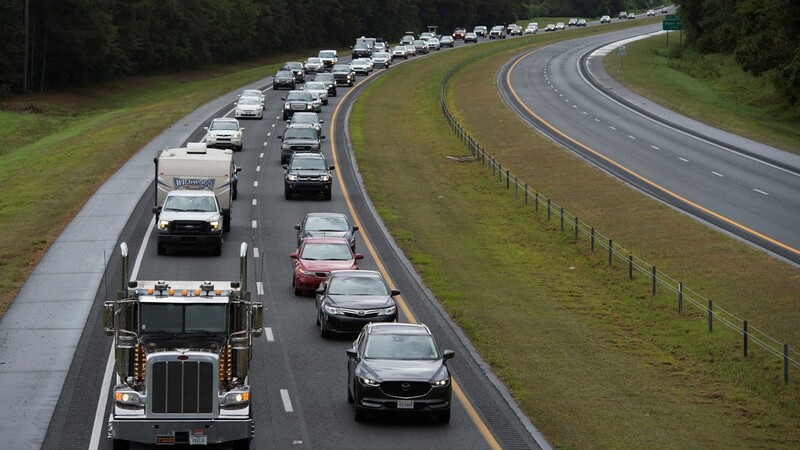 TIMELINE | Florence now looks to menace parts of Georgia; When will we see its effects? Wind speeds of dangerous Hurricane Florence decreased slightly Wednesday afternoon to 120 mph according to the 5 p.m. update from the National Hurricane Center. Florence is a powerful category 3 hurricane and is moving steadily toward the Carolina coastal areas. On the forecast track, the center of Florence will move over the southwestern Atlanta Ocean between Bermuda and the Bahamas today, and approach the coast of North Carolina or South Carolina on Thursday or Friday, and move slowly near the coastline through Saturday. 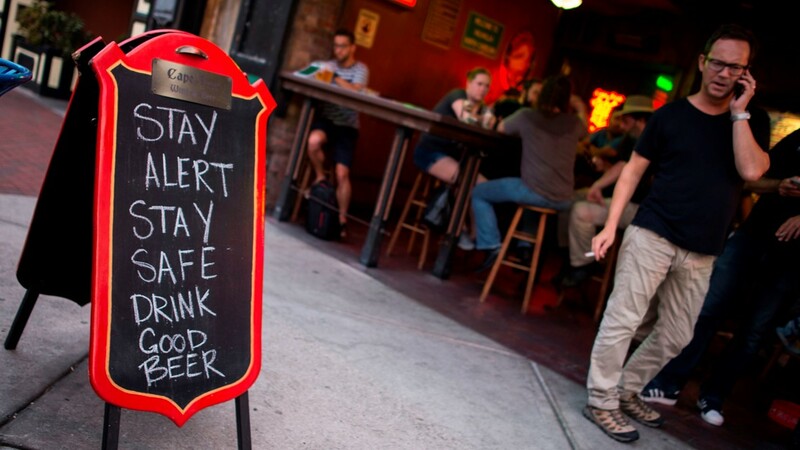 While Florence is expected to weaken by Thursday, it is still forecasted to be an extremely dangerous major hurricane when it nears the U.S. coast on Friday. 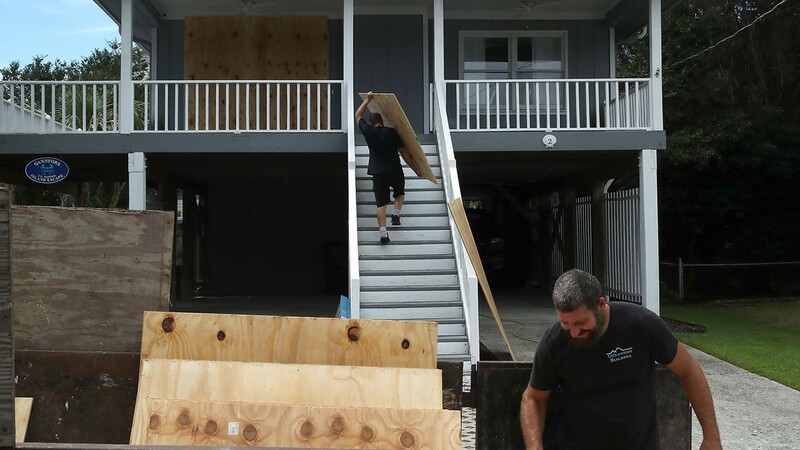 Workers board up a home while preparing for the arrival of Hurricane Florence on September 11, 2018 in Wrightsville Beach, United States. 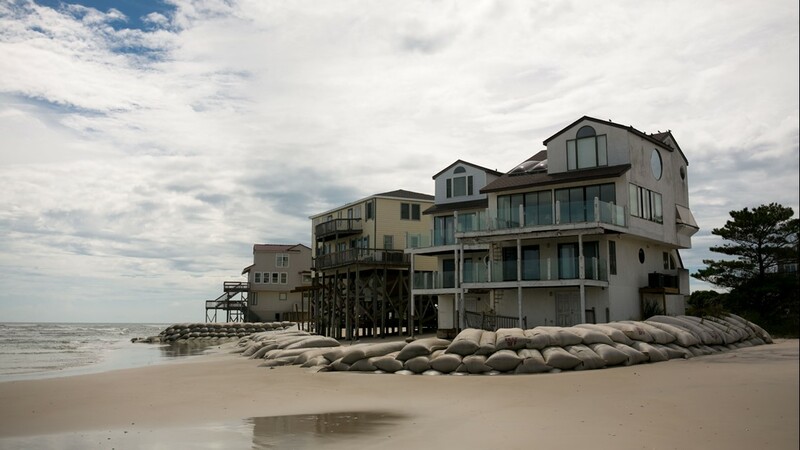 A man carries sandbags past a boarded up shop days before the arrival of hurricane Florence at Wrightsville Beach, North Carolina on September 11, 2018. 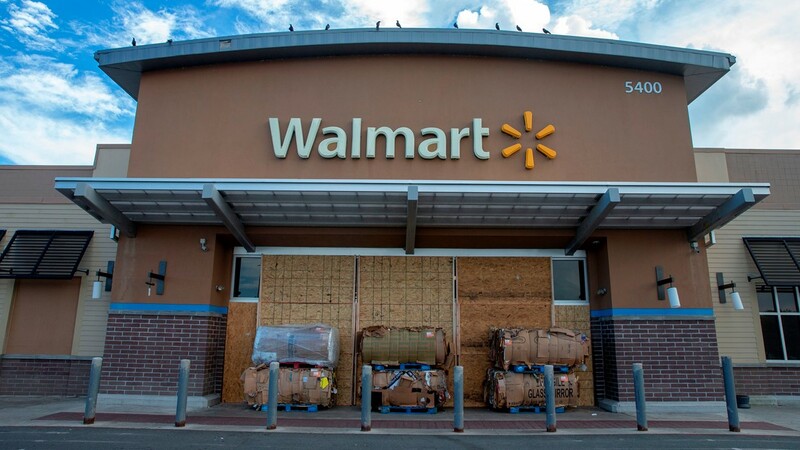 Wood boards and cardboard boxes block the entrance to a Walmart store in Kill Devil Hills in the Outer Banks of North Carolina on September 11, 2018. 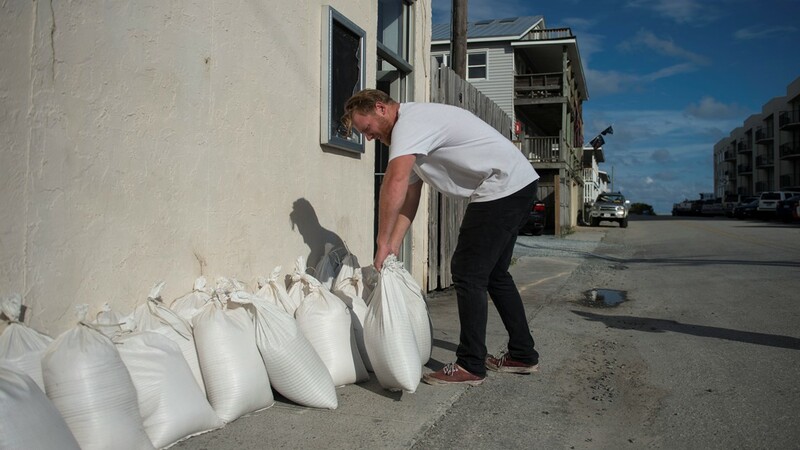 A man prepares sandbags outside a shop days before the arrival of Hurricane Florence at Wrightsville Beach, North Carolina on September 11, 2018. 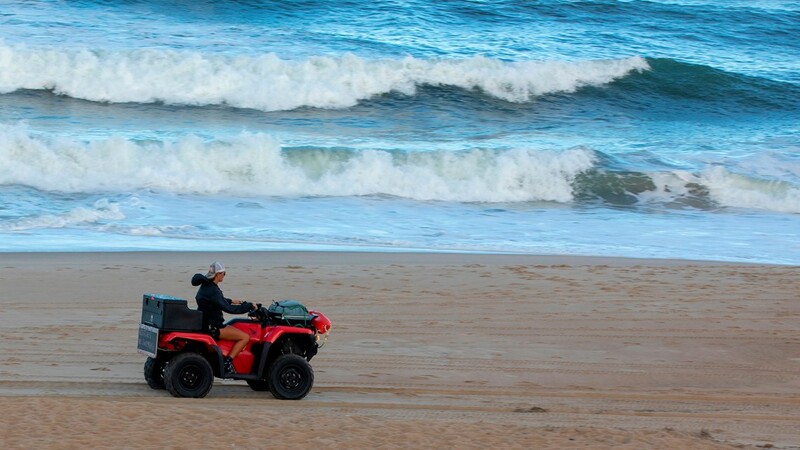 A woman rides an all terrain vehicle on the beach in Kill Devil Hills on the Outer Banks of North Carolina on September 11, 2018, as residents heed evacuation orders and seek shelter from the potentially catastrophic Hurricane Florence. 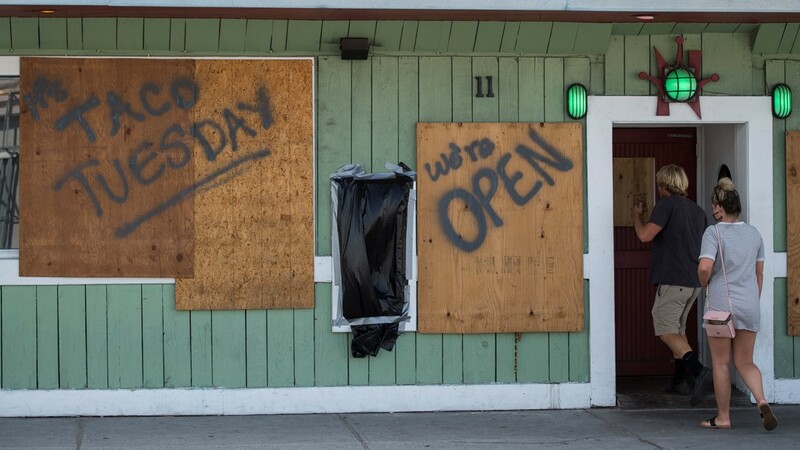 Two people enter a restaurant with boarded windows in perpetration for the arrival of Hurricane Florence at Wrightsville beach, North Carolina, September 11, 2018. 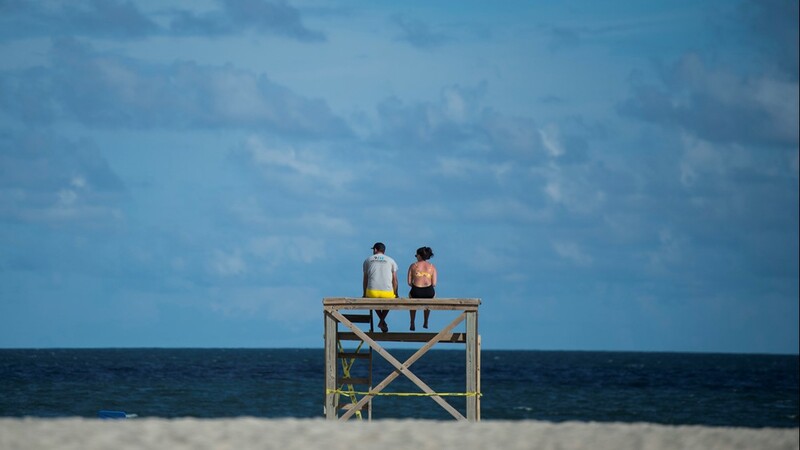 Two people look out at the ocean days before the arrival of Hurricane Florence at Wrightsville Beach, North Carolina on September 11, 2018. 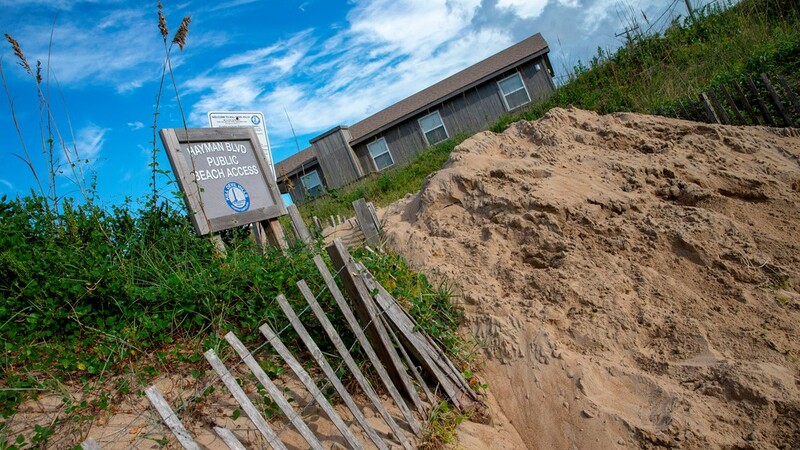 Sand is piled up to block a public beach to prevent storm surges in Kill Devil Hills on the Outer Banks of North Carolina September 11, 2018, as residents heed evacuation orders and seek shelter from the potentially catastrophic Hurricane Florence. 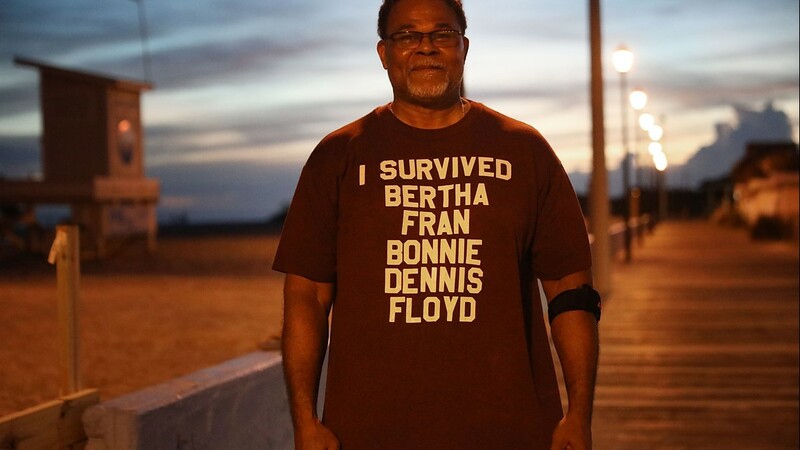 Residents evacuate from coastal areas near Wallace, North Carolina, on September 11, 2018. 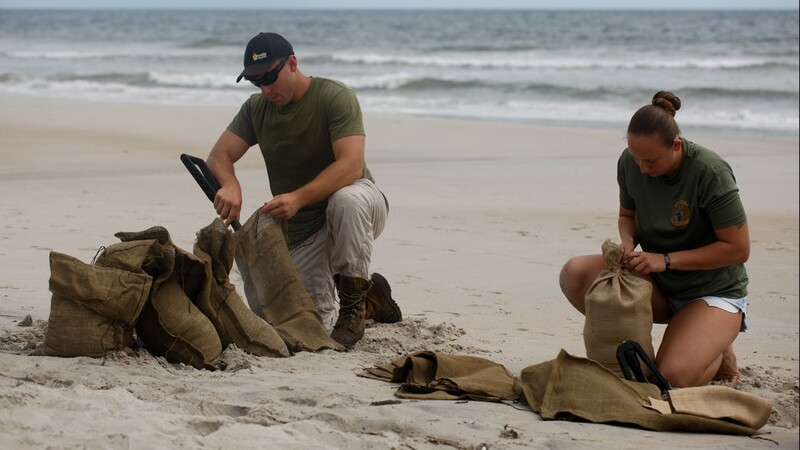 US Marines Gavin Smith (L) and Jessica Johnston fill sandbags at a public beach September 11, 2018 in Topsail, North Carolina, in preparation for the arrival of Hurricane Florence. 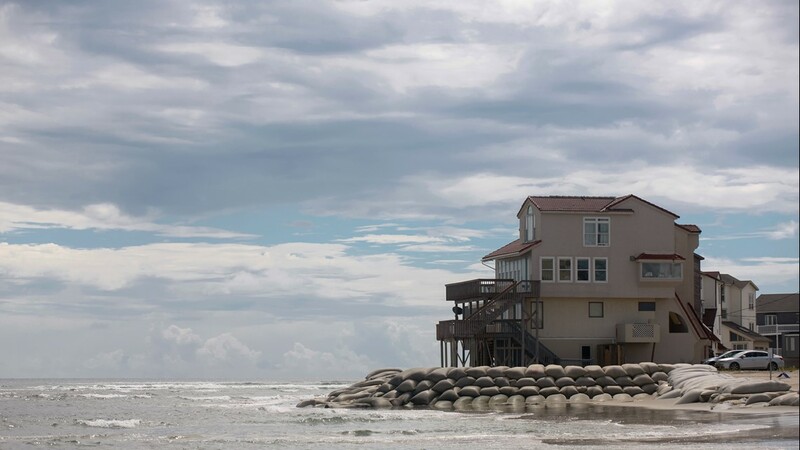 Houses are seen near high tide on September 11, 2018 in on Topsail Island, North Carolina, where many homes, already battling flooding and beach erosion, aren't sure what to expect with the impending arrival of Hurricane Florence. 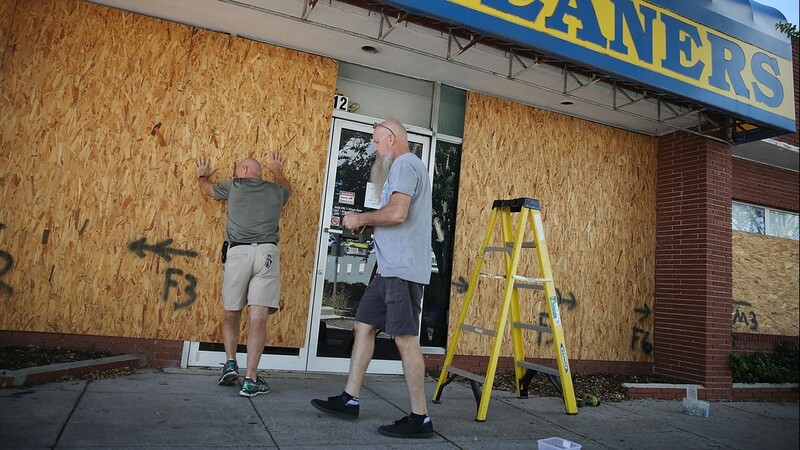 Jeff Bryant (L) and James Evans board the windows of a business ahead of the arrival of Hurricane Florence on September 11, 2018 in Myrtle Beach, South Carolina. 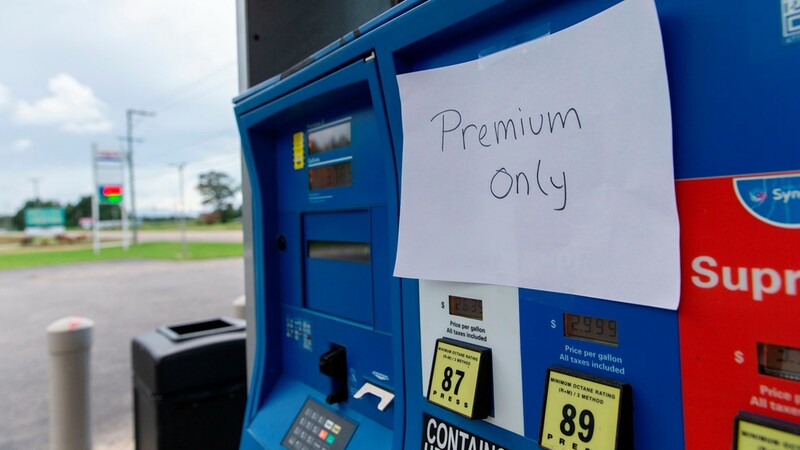 A sign warning customers that the gas station only has premium gas remaining in Harbinger, North Carolina on September 11, 2018. 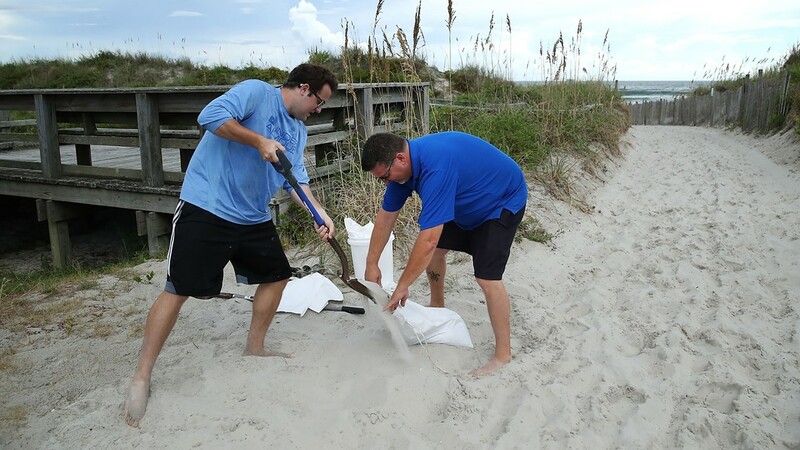 Daniel Vaughn (L) and Frank Murphy fill sand bags while preparing for the arrival of Hurricane Florence on September 11, 2018 in Wrightsville Beach, United States. 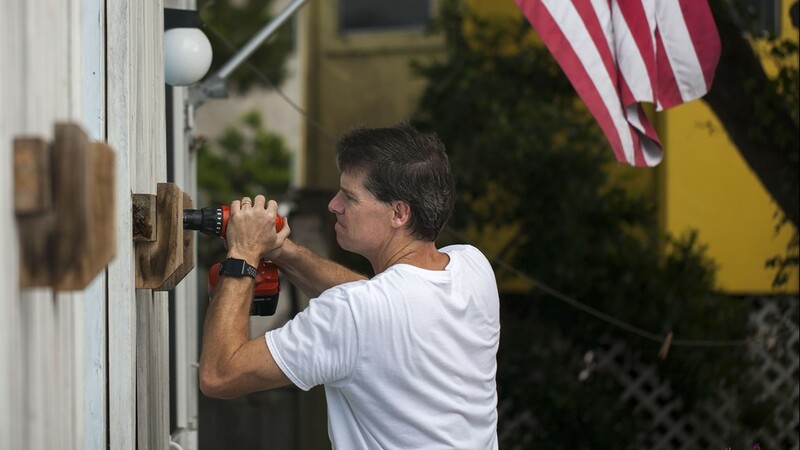 Clint McBride (R) cuts plywood to be put over a homes window while preparing for the arrival of Hurricane Florence on September 11, 2018 in Wrightsville Beach, United States. 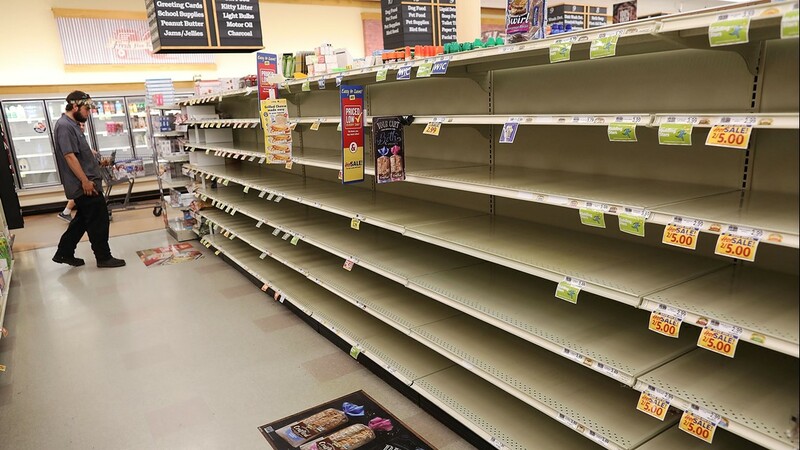 A store's bread shelves are bare as people stock up on food ahead of the arrival of Hurricane Florence on September 11, 2018 in Myrtle Beach, South Carolina. 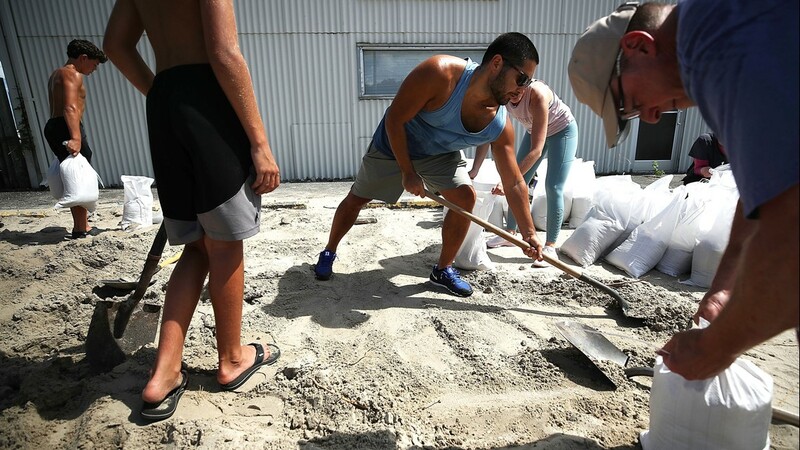 Local resident Dave Collins shovels sand into a bag while the coastal area is preparing for the arrival of Hurricane Florence on September 11, 2018 in Wrightsville Beach, United States. 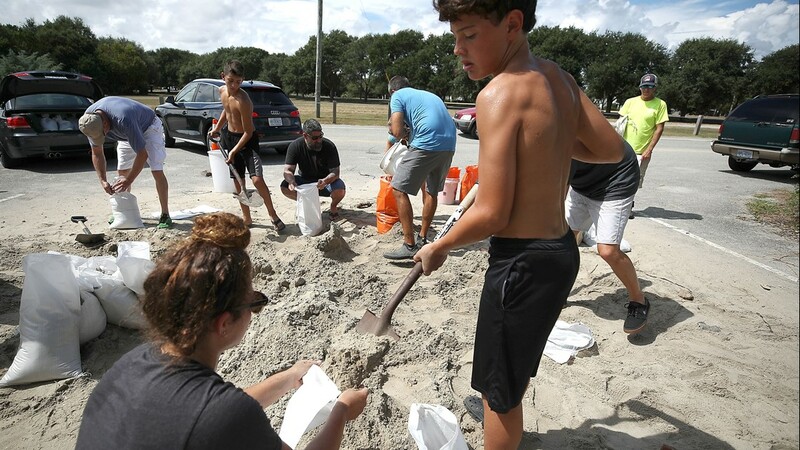 Local residents fill sand bags that was provided by the town as they prepare for the arrival of Hurricane Florence on September 11, 2018 in Wrightsville Beach, United States. 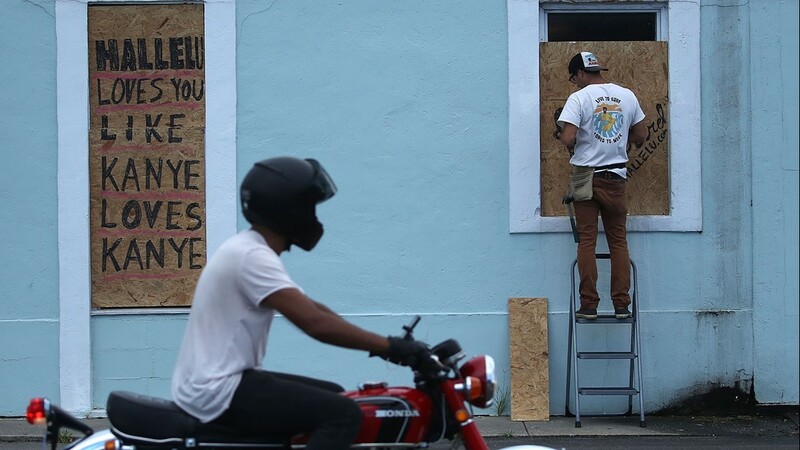 MYRTLE BEACH, SC - SEPTEMBER 11: Scott Fleenor (seated) and Jeremiah Trendell board over the windows of a business ahead of the arrival of Hurricane Florence on September 11, 2018 in Myrtle Beach, South Carolina. 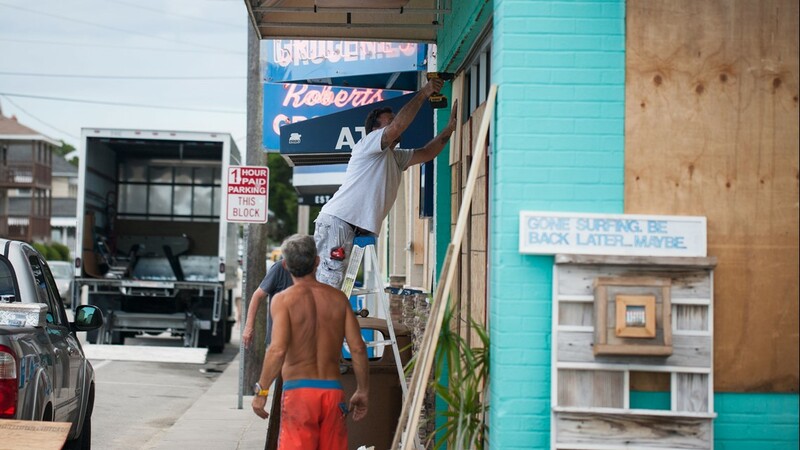 A man helps board up Aussie Island surf shop on September 11, 2018 in Wrightsville, North Carolina in anticipation of Hurricane Florence's high storm surge. 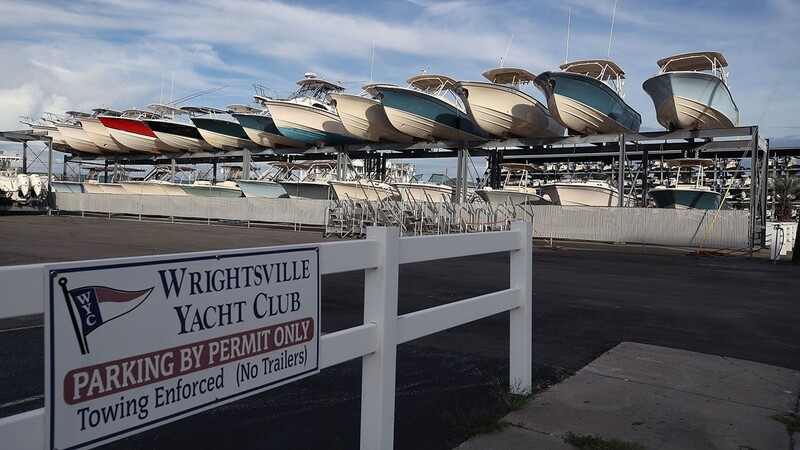 People hurry to board up in anticipation of Hurricane Florence at Wrightsville Beach in North Carolina September 11, 2018 before the arrival of Hurricane Florence. 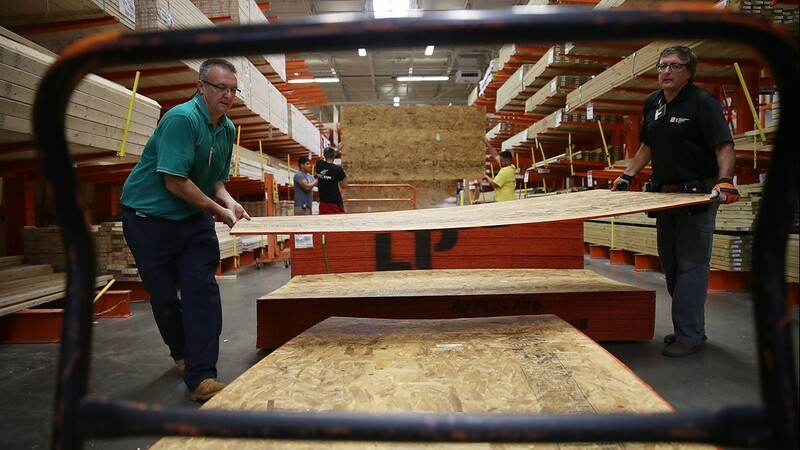 Home Depot employee Ken Murphy helps Joe Spielman (L) load plywood ahead of the arrival of Hurricane Florence on September 11, 2018 in Myrtle Beach, South Carolina. 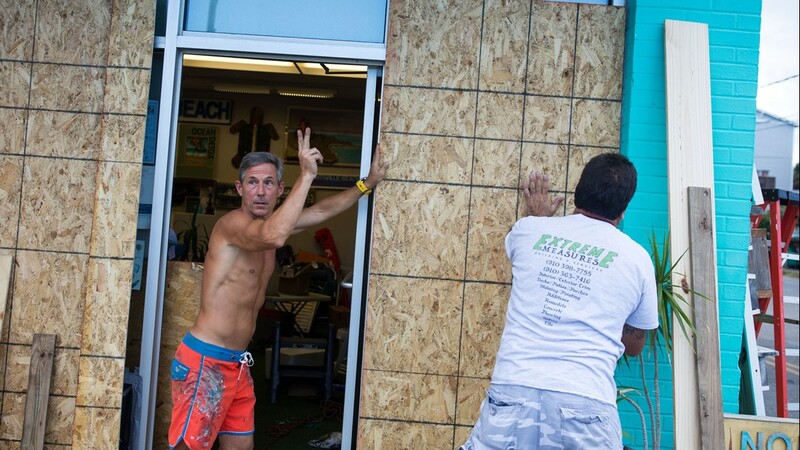 Jazz Undy, owner of Wrightsville Beach Art Co, waves to a friend as he helps board up his shop in anticipation of Hurricane Florence, on Wrightsville Beach, North Carolina on September 11, 2018. 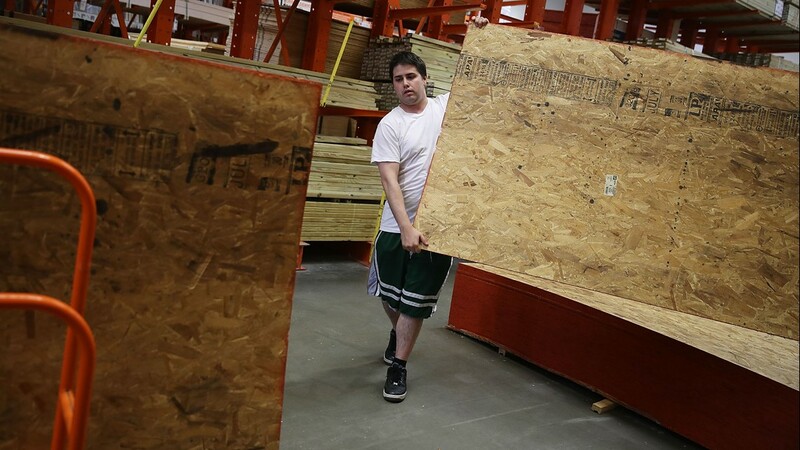 Bob Kelly Jr. buys plywood at a Home Depot ahead of the arrival of Hurricane Florence on September 11, 2018 in Myrtle Beach, South Carolina. 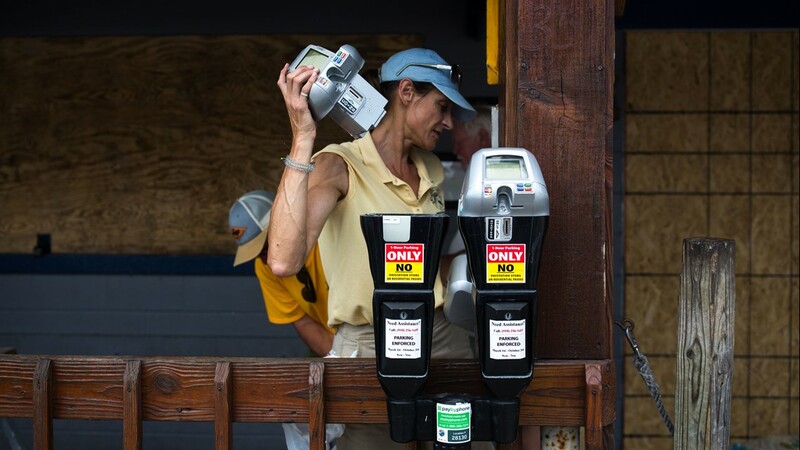 An employee of the Wrightsville Beach Parking office, collects the electronic parts of the parking meters on September 11, 2018 in Wrightsville Beach, North Carolina removing the meters in anticipation of Hurricane Florence's high storm surge. 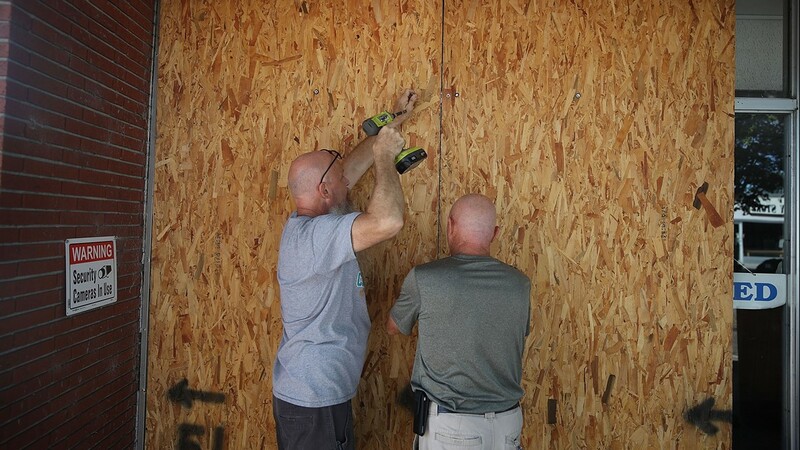 Jay Schwartz (L) and Michael Schwartz secure plywood over the windows of their business ahead of the arrival of Hurricane Florence on September 11, 2018 in Myrtle Beach, South Carolina. 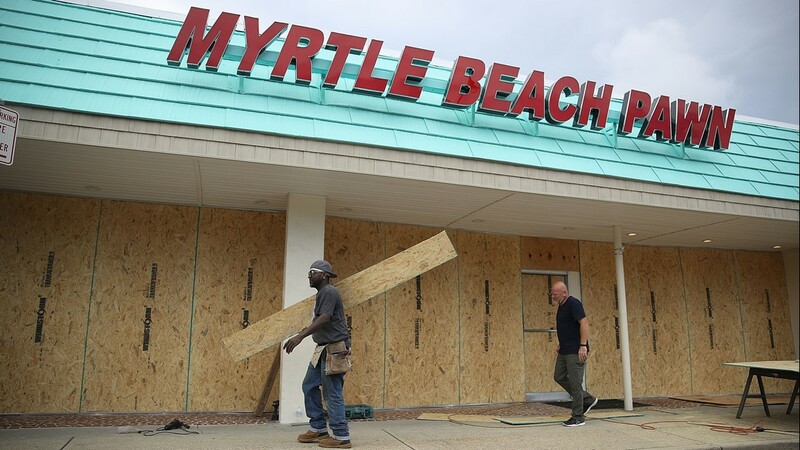 Michael Schwartz (L) and Jay Schwartz secure plywood over the windows of their business ahead of the arrival of Hurricane Florence on September 11, 2018 in Myrtle Beach, South Carolina. 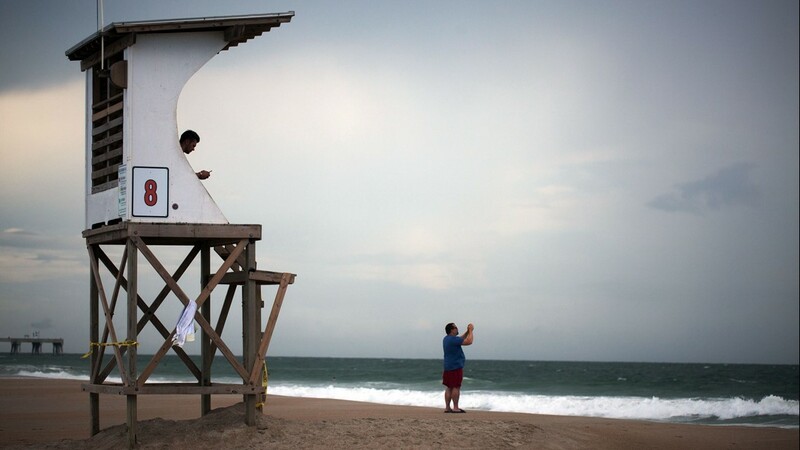 Onlookers take pictures on Wrightsville Beach in North Carolina September 11, 2018 before the arrival of Hurricane Florence. 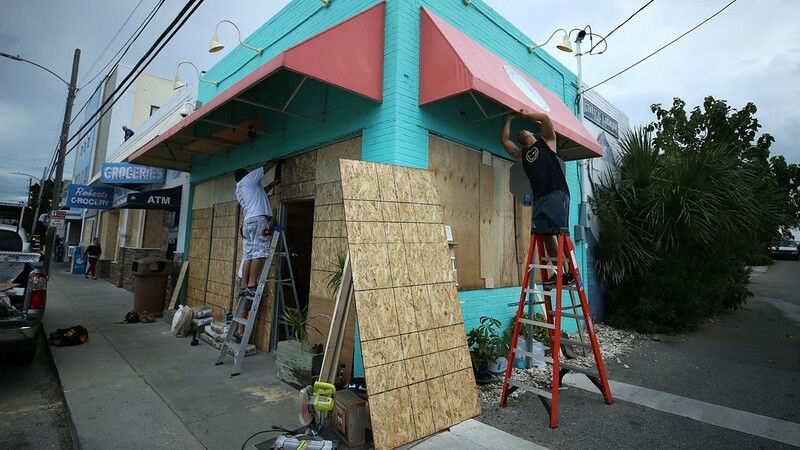 WRIGHTSVILLE BEACH, NC- SEPTEMBER 11: Windows are boarded up as local shops prepare for the arrival of Hurricane Florence on September 11, 2018 in Wrightsville Beach, United States. 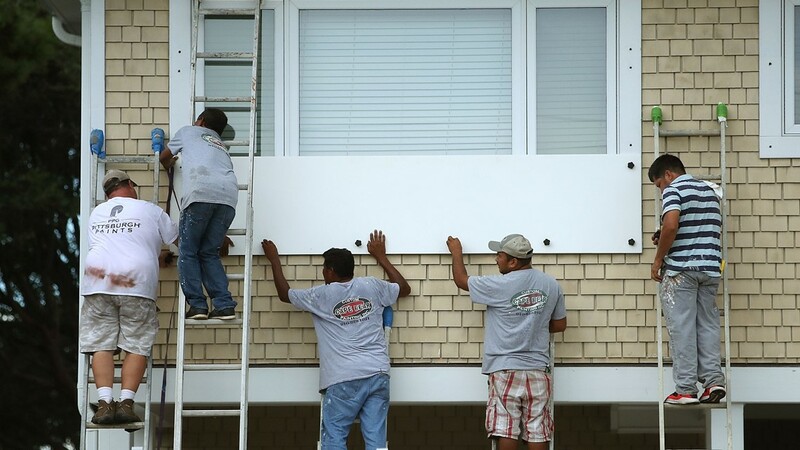 WRIGHTVILLE BEACH, NC - SEPTEMBER 11: Workers board up the Wrightsville Beach Art Co. while preparing for the arrival of Hurricane Florence on September 11, 2018 in Wrightsville Beach, United States. 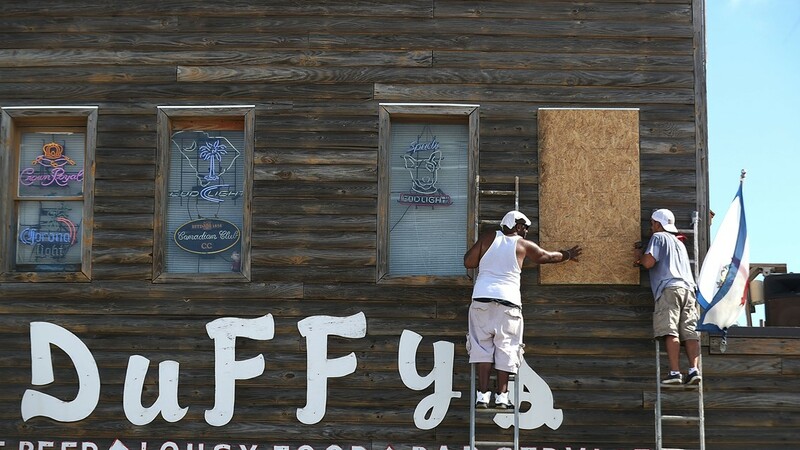 MYRTLE BEACH, SC - SEPTEMBER 11: Morgan Livingston and JC Gravitte (L-R) put plywood on the windows of Duffy's bar and restaurant ahead of the arrival of Hurricane Florence on September 11, 2018 in Myrtle Beach, United States. 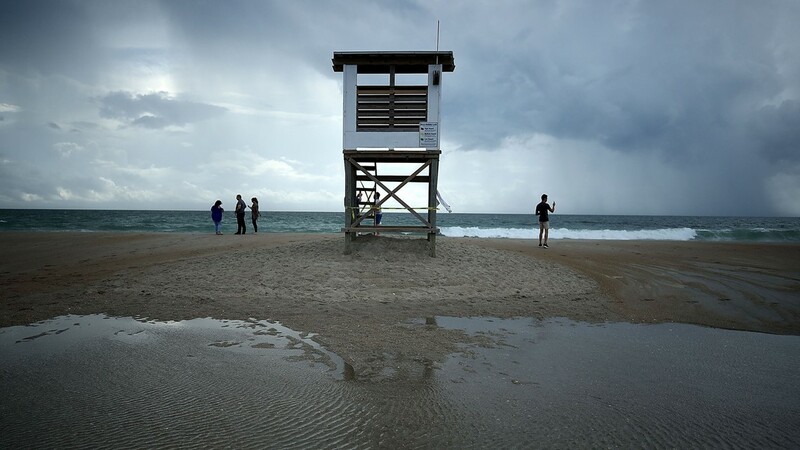 People stand near a lifeguard stand as Hurricane Florence approaches, on September 11, 2018 in Wrightsville Beach, United States. 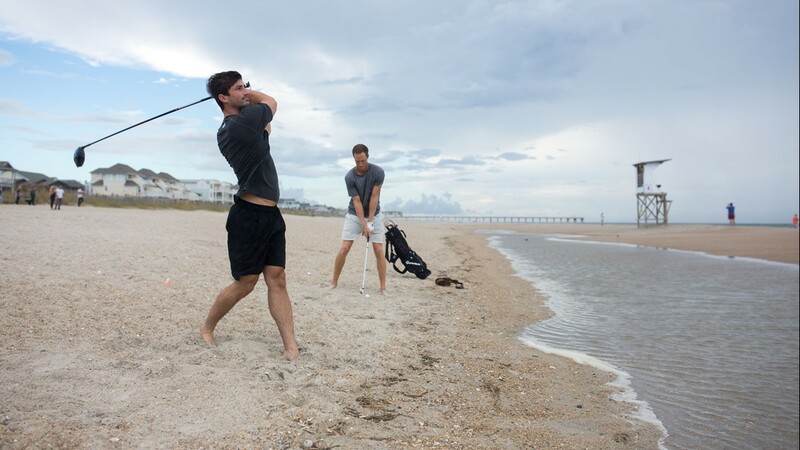 Matt Jones tee's off while his friend Jacob Whitehead (R) looks on near a public access point on Wrightsville Beach, North Carolina on September 11, 2018, planning to ride out Hurricane Florence. 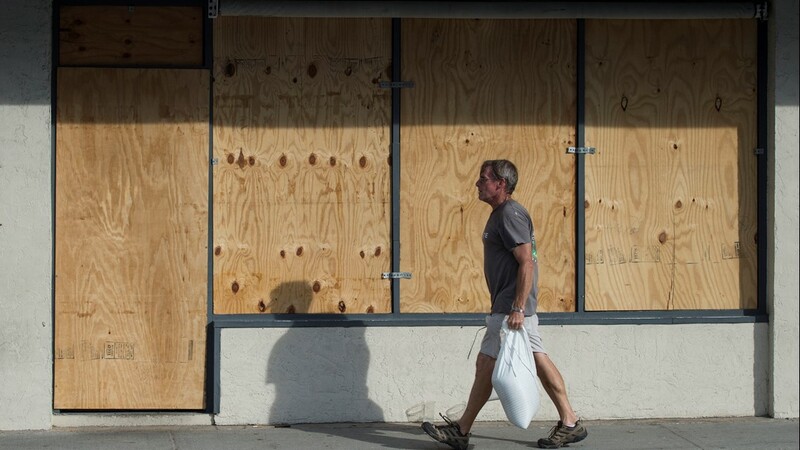 WRIGHTSVILLE BEACH, NC- SEPTEMBER 11: A women walks past a local shop that is prepared for the arrival of Hurricane Florence on September 11, 2018 in Wrightsville Beach, United States. 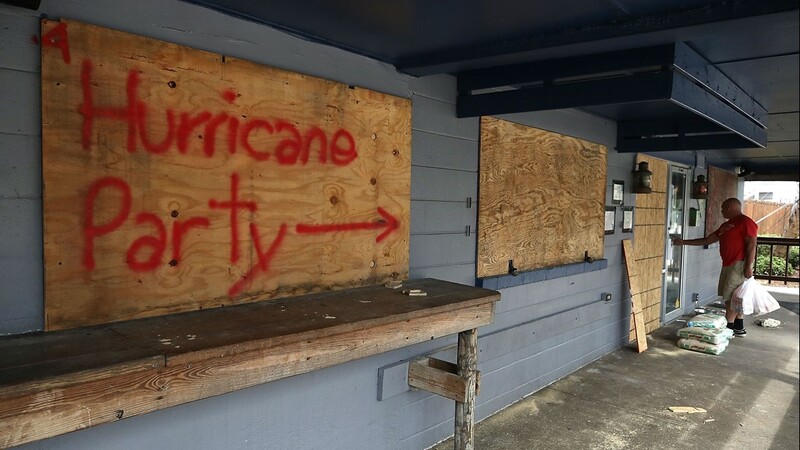 Hurricane Party is written on plywood covering the window of the Lager Heads Tavern as they prepare for the arrival of Hurricane Florence on September 11, 2018 in Wrightsville Beach, United States.